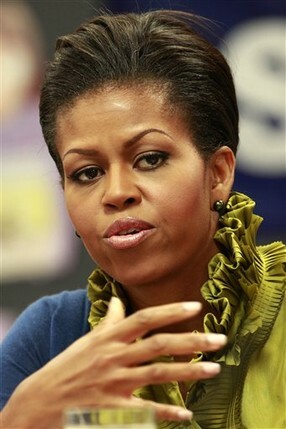 Michelle Obama wore a green ruffled collar blouse that looked like it was made out of satin. So? 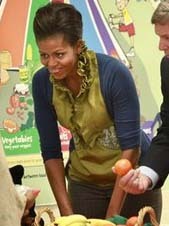 I have to put this deep in the Michelle Obama News Not News Category!